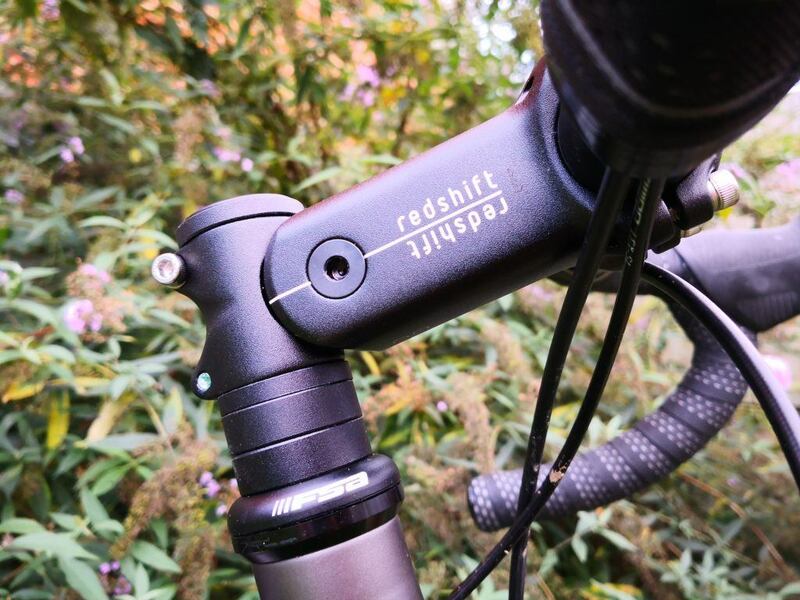 Review: Redshift ShockStop Suspension Stem for gravel - ADVNTR. 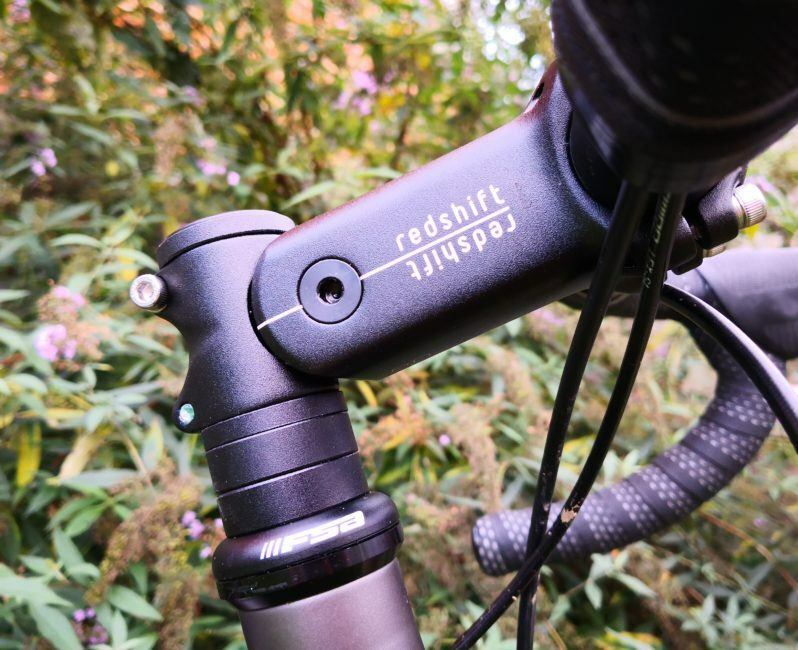 To some the Redshift ShockStop stem is further evidence that the cycling industry has run out of ideas. The Girvin Flexstem fell by the wayside some 20+ years ago. Why should a suspension stem make any more sense today than it did in the 1990s? As well as the stem itself, you get a comprehensive set of instructions and a set of elastomer inserts. The correct combination (of elastomers) is determined by rider weight and whether you are using flat or drop bars. Swapping them around is simple and won’t take more than a couple of minutes. It is important to note that elastomer changes must be done with the stem fitted. This allows for the correct amount of preload and prevents damage to internal fasteners. Superficially, the Shock-stop looks just like a normal stem as the suspension mechanism is hidden away inside. The face-plate is a familiar 4-bolt affair so fitting drops or flats is a doddle. As the stem logos suggest you racier types can also run the stem inverted. Depending on length the ShockStop weighs in between 265 and 300gms. The maximum recommended rider weight is 135kg. Ride comfort cannot be experienced in this photo. But it is there. Just like any suspension device ever fitted, you won’t be able to stop yourself giving the Shockstop the futile “bounce test”. As usual it will prove little beyond confirming there is indeed some movement! Once riding along, the effect of the Shockstop is subtle but it works. I’m not sure which surface is worse, rough and pot holed Suffolk back roads, or gravel byways. Whichever it is, the Shockstop soaks it all up. With only 20mm of travel to play with, you aren’t going to take rock gardens flat out. For your average gravel route with the odd lumpy stretch of singletrack however, it does the job. 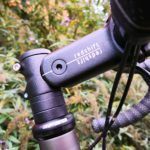 For steady state pedalling along rough tracks, the Shockstop takes the sting out of washboard surfaces. Spirited climbing on the hoods does lead to exaggerated movements but it’s a muted bounce, not a pogoing effect. Elastomer suspension is notoriously susceptible to changes in temperature. Elastomers become firmer when cold and softer when warm. During testing we didn’t experience any issues but then, the UK late-summer and autumn doesn’t see much in the way of radical temperature fluctuations! Redshift acknowledge temperature changes may impact on stiffness. They claim sub-zero conditions are required before you will notice anything. Apparently the elastomers will retain some flexibility at -40º centigrade, in those conditions I’m not sure your suspension will be your greatest concern! We didn’t experience any durability problems but of course it will take time and miles to properly judge longevity. 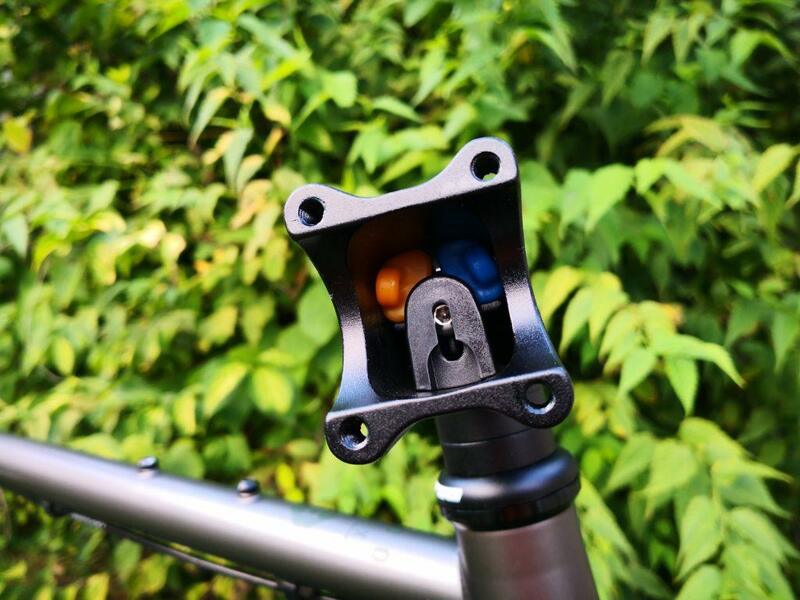 The ShockStop uses ball-bearing pivots, similar to those in conventional rear-suspension systems in mountain bikes. Redshift say the elastomers have a 3-5 year expected life span and a full set of five (to suit all rider weight and bar combinations) is £10. While it sometimes felt a little bit like riding with a flat tyre, our experience of the ShockStop was generally positive. For long days out, it cut the buzz on rough surfaces and took the sting out of cattle grids and unavoidable roots on woodland tracks. At £150 you could say it’s expensive compared to a conventional stem, and it does carry 150 gms or so of weight penalty. On the other hand you have to compare it to its rivals. 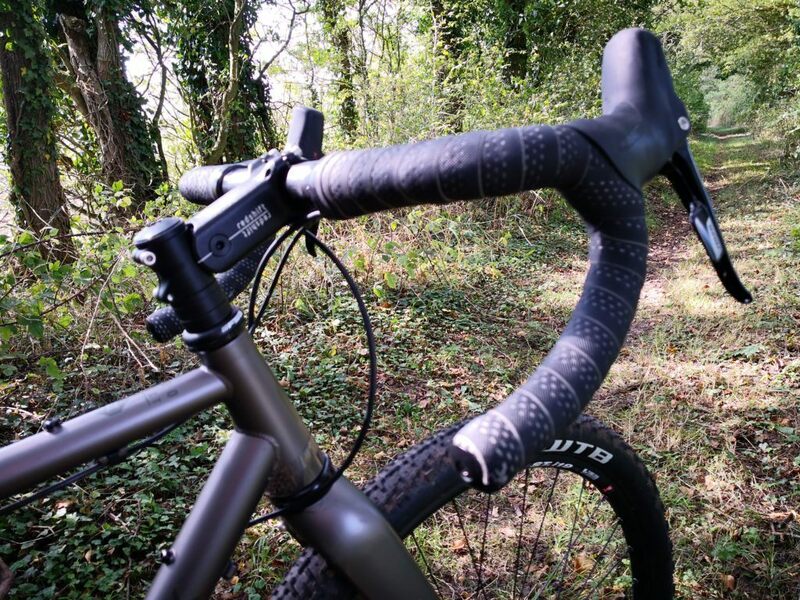 Suspension forks such as the Lauf Grit or MRP Baxter are significantly more expensive, perhaps excessively capable and for some, the looks are a little too challenging. The Specialized Diverge with its built in Future Shock obviously requires you to buy a whole new bike and you can’t swap the system onto another one! 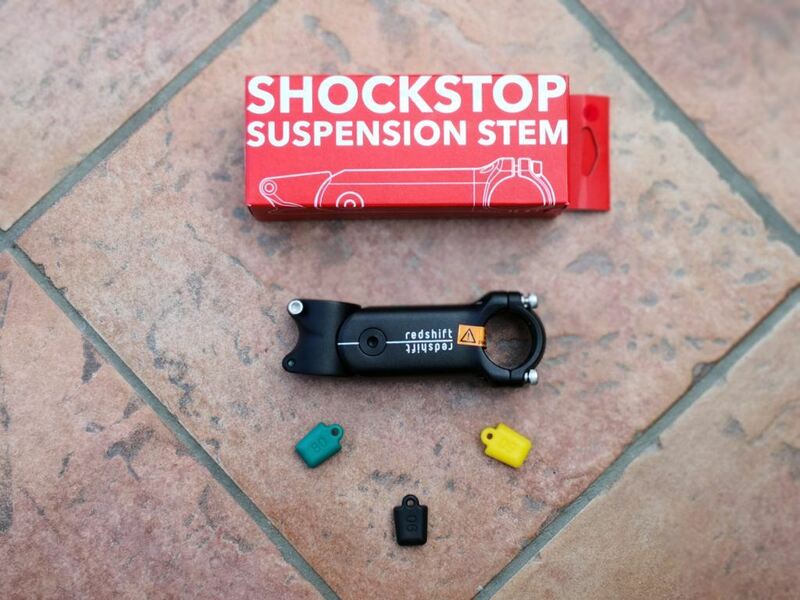 If you want to dip your toe into the water the ShockStop is the most cost-effective way to suspend your bike. We received our test example directly from Red Shift Sports in the USA but Ison Distribution have since become the UK distributors meaning getting hold of a ShockStop should be a lot easier! It’s not a monster! Fitting elastomers is as simple as slipping them inside.